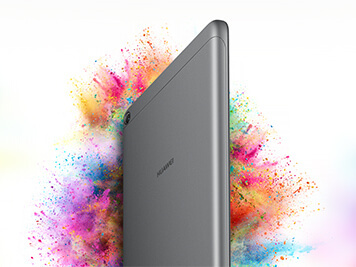 The Huawei MediaPad T3 8 brings your entertainment to life with its 8-inch HD screen and vibrant colours. Thanks to the slim aluminium body with a polished metallic finish, you can enjoy a powerful tablet experience housed in a strong and elegant case. 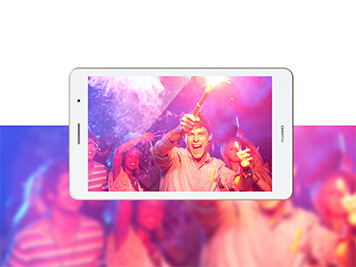 Enjoy a truly immersive viewing experience with the Huawei MediaPad T3's 8-inch HD screen. The high resolution screen boasts rich and vibrant colours, as well as low-light display modes and a blue-light filter to reduce the eye-strain and help preserve your natural sleep patterns. 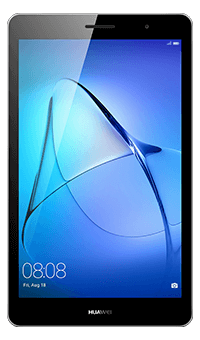 With a sleek aluminium body and a polished metallic finish, the Huawei MediaPad T3 8 delivers a powerful and smooth experience in a sturdy yet elegant design. Only 7.95mm thick and 350 grams in weight, it's both practical and stylish. 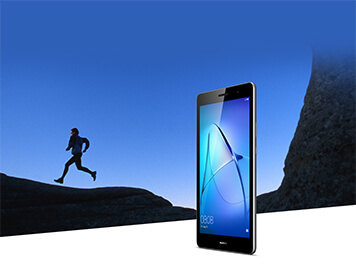 The Huawei MediaPad T3 8 delivers long-lasting entertainment, even with heavy use. The 4800mAh battery keeps your tablet going for longer, providing you with an unrushed, uninterrupted experience. 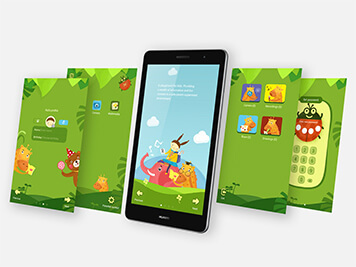 Whether you're sharing the device, letting your children play, or simply keeping yourself from getting distracted, the Huawei MediaPad T3 8's smart app and content access lets you stay in control at all times.